The IRS has increased its Examination by Mail program. We took on an Exam defense case for two over the road truck drivers. When they got the IRS’s examination notice, the client first sought the help of the individual that prepared their tax returns. He promptly responded to the IRS without fully complying with the IRS’s demand for records and substantiation. Tax Matters Solutions was hired to offer a proper response to the IRS. Tax Matters Solutions complied with the IRS’s demand for records and substantiation. The examination concluded as a “No Change Audit”. We cannot hope to accomplish that goal with every examination, but the client will always benefit from a vigorous exam defense. The client self prepared her jointly filed tax return. She answered all of the “box’s” questions. What she came to understand, there is a difference between answering the question and answering it correctly. In preparing her tax returns, she made many preparation errors. So when she received her IRS Examination Notice, she found herself in over her head. 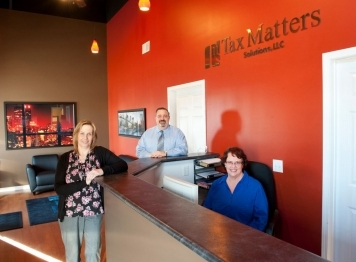 She hired Tax Matters Solutions to save whatever was salvageable. We substantiated the bona-fide business expenses, but our biggest success was in the penalty phase of the Exam. Tax Matters Solutions put forth a cogent argument that the taxpayer should not be charged any penalties. Our defense saved the client over $6,000 in penalties.